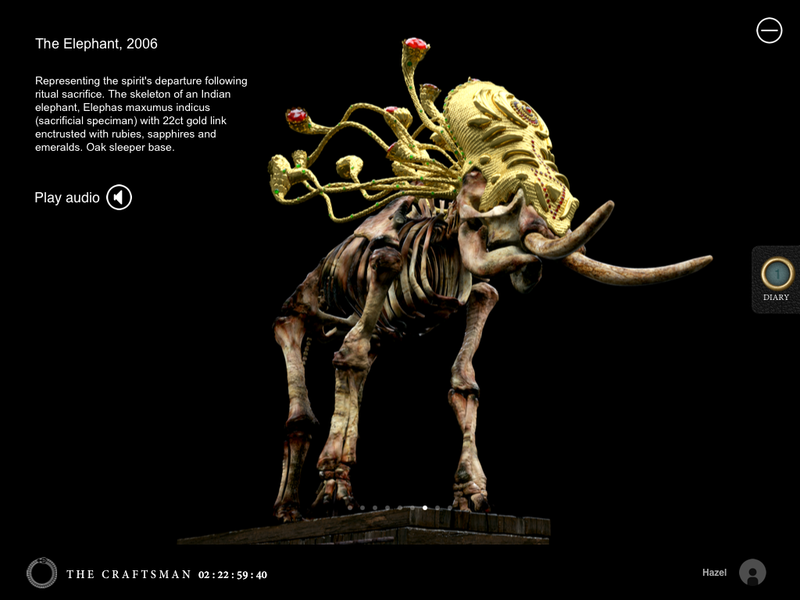 The Craftsman – The Future of Storytelling? The way we buy and consume novels may have changed over the last decade – these days you’re just as likely to swipe a screen as turn a page – but we’ll always read. Epic story narrative is now an intricate part of the best video games. And, of course, we devour box-sets of TV shows – on the bus this morning there must have been more tablet computers than there were paperbacks. But whatever the next twist of technology we’ll always consume stories – we’ll experience them differently, perhaps, but we have an innate urge to share tales and to experience them – and it’s no wonder that all these mediums, all these new and old technologies, are beginning to converge. 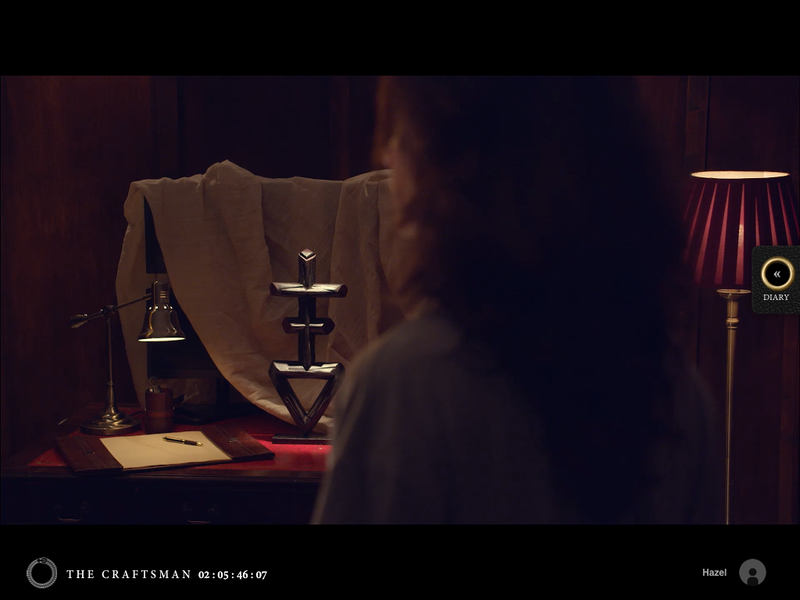 The Craftsman is described as the first immersive thriller for the ipad. When I checked out the first episode – which is free to download – I had a number of issues with the user-experience, but it’s undeniably slick and good-looking. The production-values are high – a lot of love and craft has gone into it. 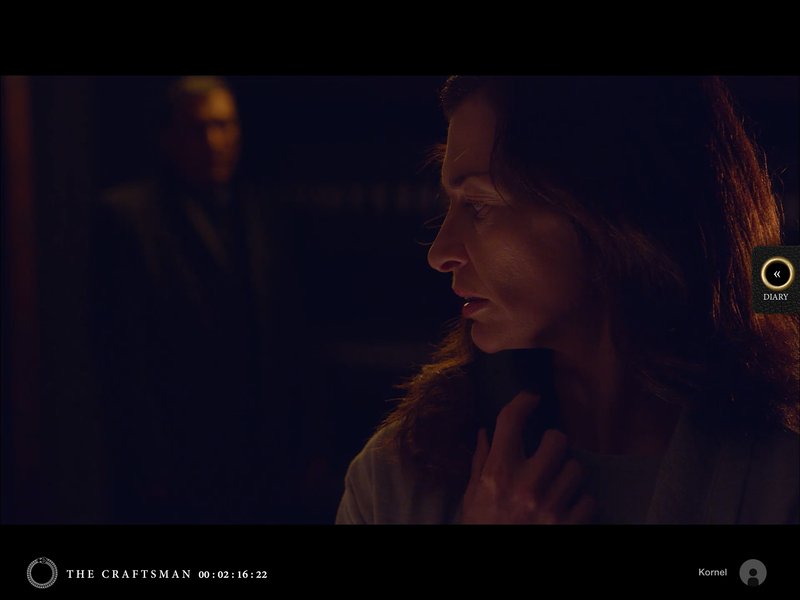 The Craftsman is an atmospheric gothic thriller, an adult affair, full of dread and menace. More importantly it’s at the vanguard of what could be an important new form of digital storytelling. Julian McCrea is the Managing Director of Portal Entertainment, which created the app. He very kindly answered some of my questions, and I was happy to discover that he actively encourages writers to investigate what is increasingly an important new market. Tell us about The Craftsman — what is it? 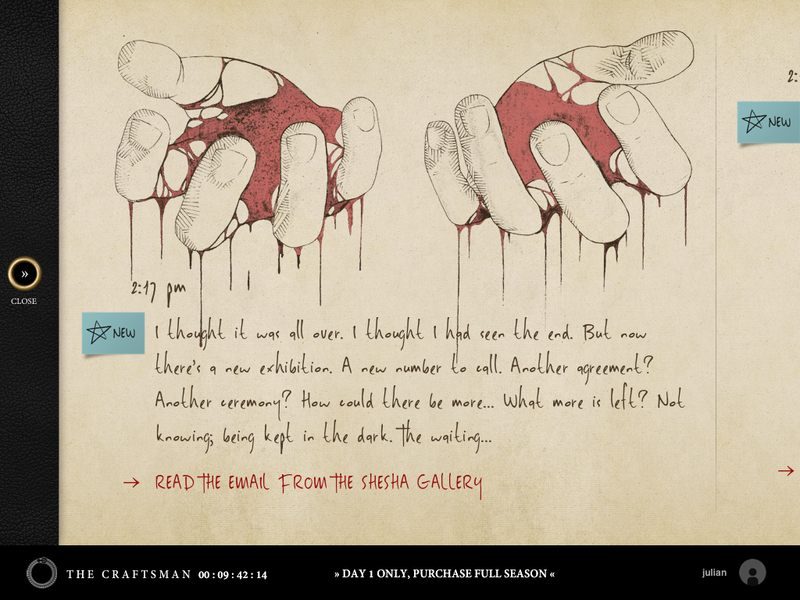 Craftsman is the World’s first thriller for the iPad. From the minute you open the app the story is told in real-time over a five-day period. You, the audience, are the main character in the story and take part in the story. You send emails, make phone-calls, sign up for exhibitions, make phone-calls and maybe even turn the lights off in the house. What you do changes the outcome, no two people get the same experience. When a lonely housewife, Sophie Wellbeck, stumbles upon the mysterious dealings of her husband and the disquieting secrets he has been keeping from her, she turns to YOU the audience to help her uncover the darkness that has befallen her family. From an exclusive London art gallery, to a mysterious artist in India and the disappearance of a wayward young man in China, it becomes a race against time for you to uncover the chilling secret that links them and her husband all before it is too late. You have five days. Time is running out. The Craftsman reinvents the way a thriller story is told in the digital age. You’ve never experienced anything like this, because there has never been anything like this. Thematically, we wanted to tell the story around voyeurism and where it leads to, referencing certain movies such as Michael Haneke ‘s Hidden, Michael Powell’s Peeping Tom and The Wicker Man. Martin Scorcese has a great quote saying: ‘People now have a morbid urge to gaze’ in the digital age, and we thought it would pertinent to the world we live in today, where there are no barriers to watching. On top of this, I have a heavy background in audience participation and we want to explore what would happen if you could tell the thriller fiction by removing the theatre proscenium from the audience. What’s been the response to it so far? Amazing! We are getting alot of 5-star reviews from people who go past Day 1. People are really loving the production quality and the level of detail in the story – literally every frame of the Craftsman has detail in it. We designed it for people who like slower paced thrillers like The Killing, where the thrills are more psychological. Where do you think this kind of interactive experience across platforms is leading us? I think these platforms allow us to tell thrillers in new ways. The plot of a thriller – An Everyman hero ends up in extraordinary circumstances and must use his intellect to expose the truth and clear his name – is not going to change. What is going to change is the narration, how we tell it today. We are allowing the audience to become the Everyman hero and be placed in side the thriller, where they can use their real-world devices and real world setting to affect the story. So we are still structurally telling a story, but the technology allows us to surprise and delight the audience in a new way. Do you think the way people consume stories is changing – where will we be in ten years? I think people will have stories with them all the time, very much like we have a phone with us all the time, and dip in and out of applications. We will be doing the same with our favourite characters and stories. The Craftsman story exists for five days in real-time, and the audience can dip in and out of it. Have you had much interest from traditional publishing companies? You’re encouraging writers to think about interactivity – tell us about that. When we started the company the level of writing we needed to tell this form of entertainment – immersive entertainment – was really poor. I had a background on Doctor Who and knew that the TV-writers were amazing at drama but poor at non-linear stories; the game writers were good at non-linear but poor at drama. So we created with BBC Writersroom an event called the Immersive Writing Lab to help with this. We’re bringing out a thriller for international best selling thriller writer Peter James at the start of next year called Dead Man’s Tracks. There’s a supernatural thriller called The Nightshift and a further ghost story called The Fades, both in 2014. All will focus on the thriller/horror market and use the same underlying technology. The first episode of The Craftsman is free. The whole season – five days worth – will cost you £8-99. This entry was posted in Games & Interactive and tagged BBC Writersroom, IPad, Julian McCrea, Portal Entertainment, The Craftsman on November 6, 2013 by Crime Thriller Fella.